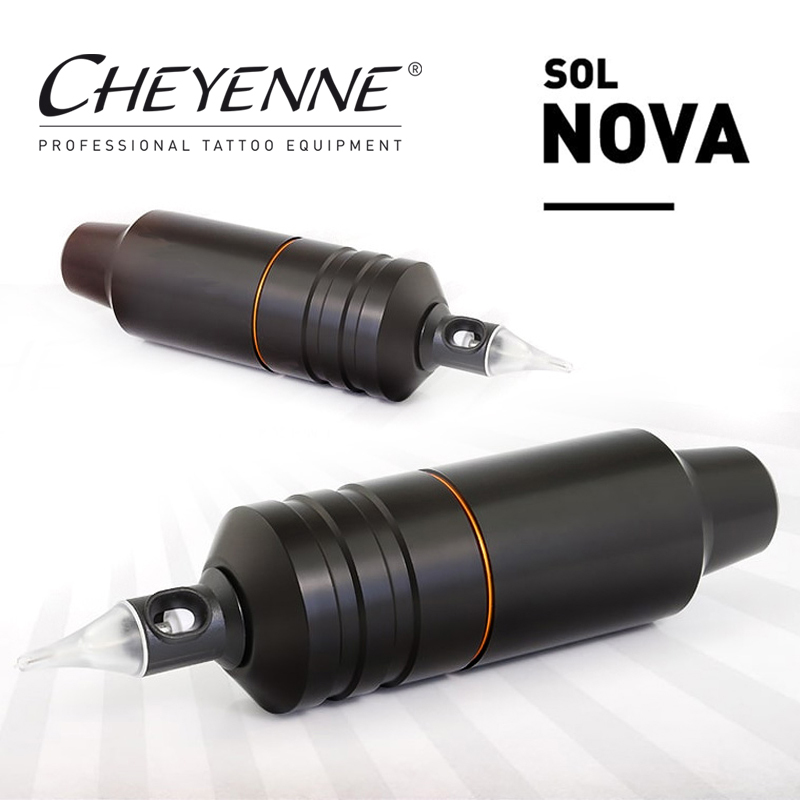 The SOL Nova by Cheyenne is really shaking up the tattoo market: This machine delivers a tattoo experience unlike anything you've experienced before! The SOL Nova is extremely powerful and at the same time gentle on the skin: It packs a punch, but still runs softly and smoothly. This means that the color transfers to the skin more quickly, which is ideal for black-and-gray work in particular. Thanks to the quiet and soft operation, it doesn't cause a rough appearance on the skin, allowing for a faster healing process. 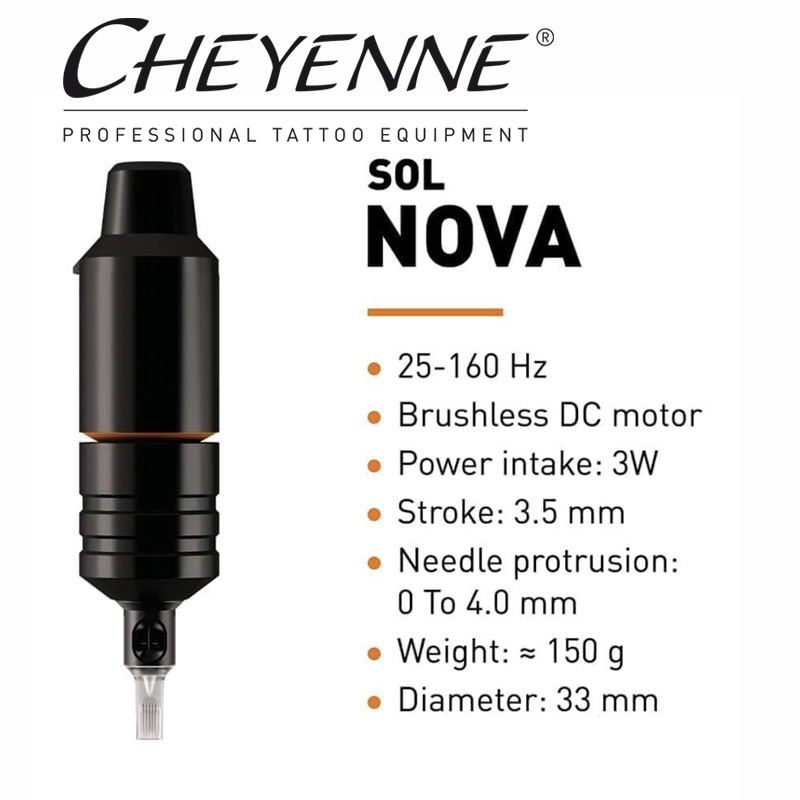 With a 3.5 mm stroke, the SOL Nova is ideal for precise lines as well as extremely soft shades. 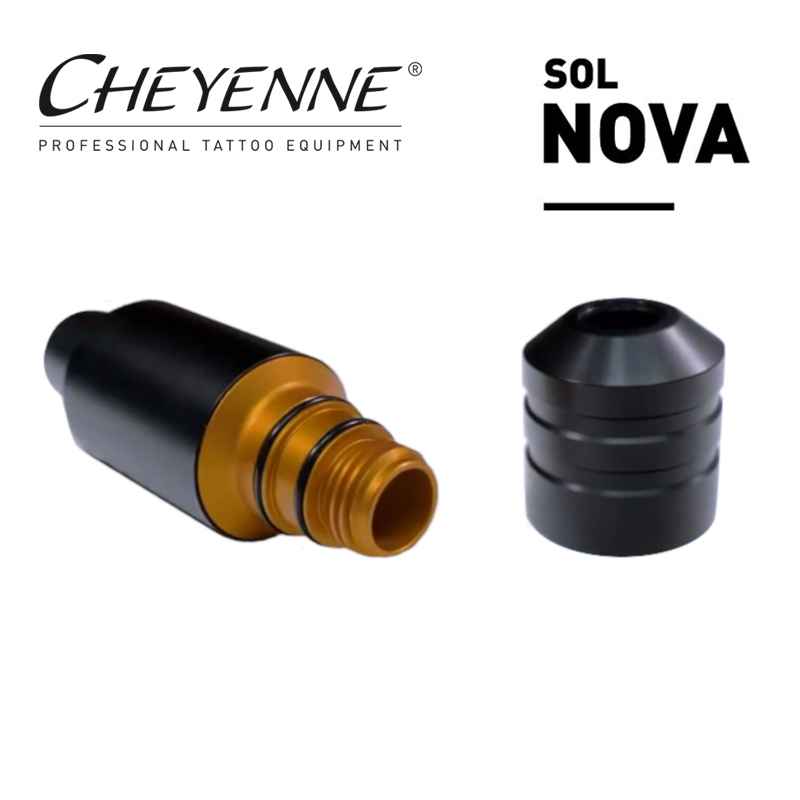 Cheyenne's tattoo machine operates between 25 and 150 hertz, and low-frequency operation with 25 hertz offers the perfect solution for dot workers and color realists. If you turn up the machine, your lines become fuller and more intense. The durable and robust device delights artists with its ergonomic, pen-like shape – just like the HAWK PEN. 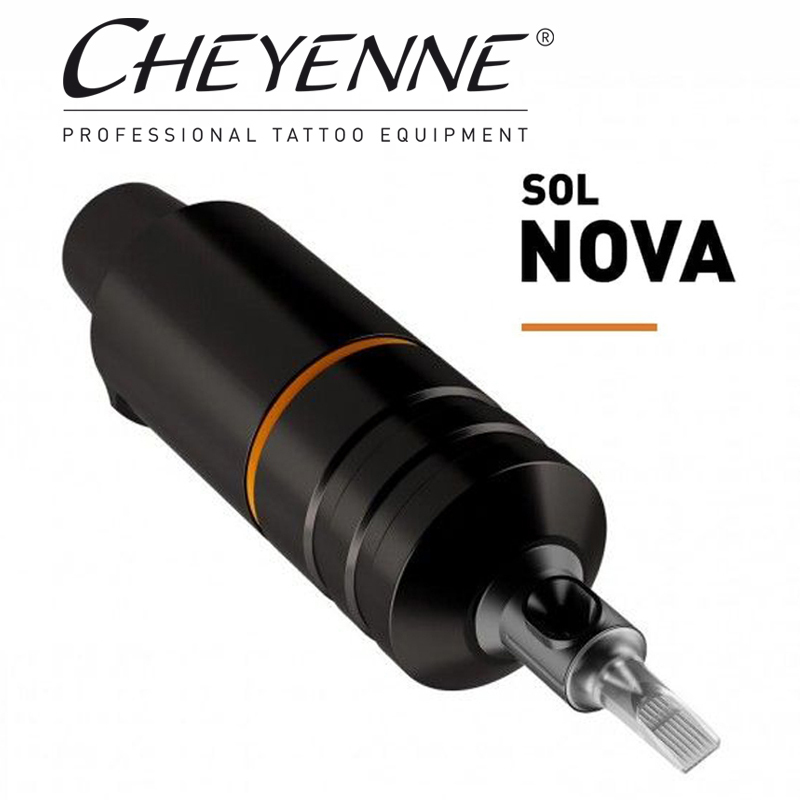 Compared to the PEN, however, SOL Nova boasts more power and a softer operation. It is easy and effortless to cover – Cheyenne sleeves and Disposable Grips Ergo Round will serve you well. The durable and easily cleanable anodization also ensures hygienic working conditions. 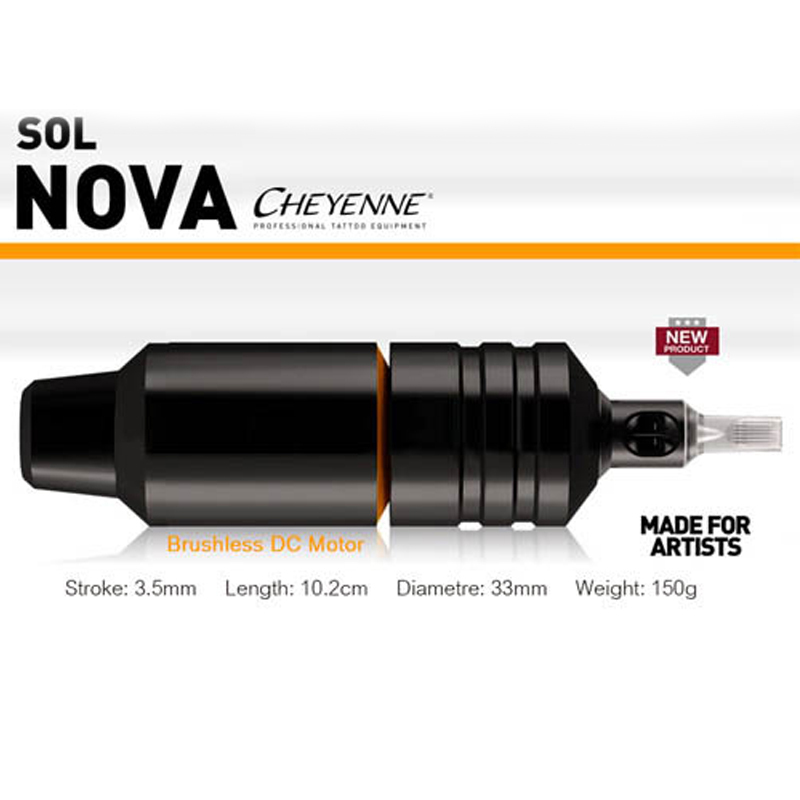 Your SOL Nova will perform perfectly with the Cheyenne Safety and Craft Cartridges. You can look forward to a harmonious work experience and perfect results. 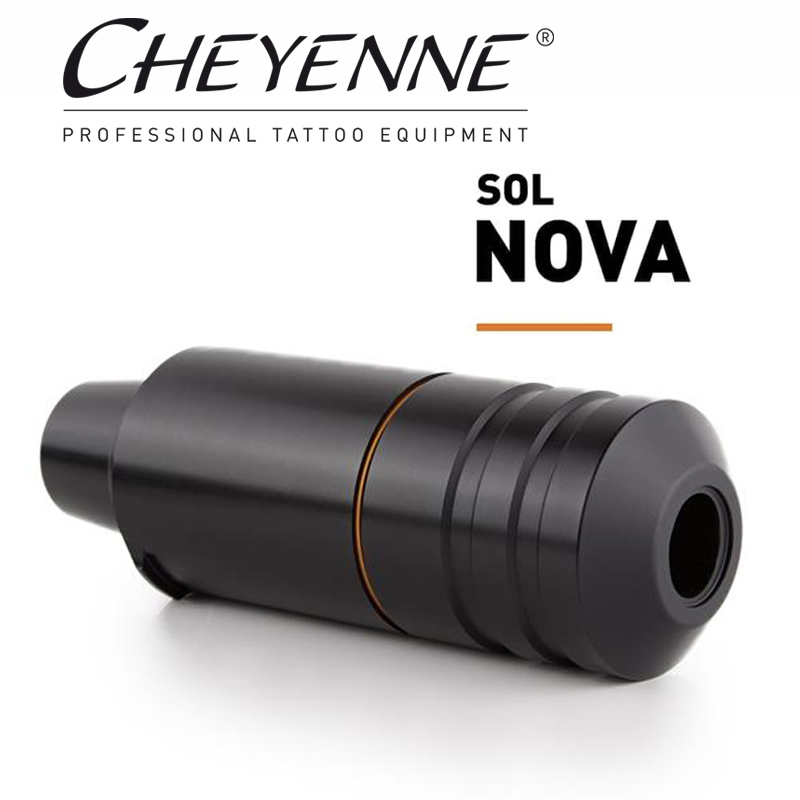 Cheyenne SOL Nova: sublime design, exemplary handling, and first-rate quality "Manufactured in Berlin".